KUALA LUMPUR: Malaysia remains firmly committed and accords the highest priority to ending forced labour, modern slavery and human trafficking by 2030, says its Foreign Minister Datuk Seri Anifah Aman. “We have sufficient national laws in this regard, particularly the Penal Code and the Anti-Trafficking in Persons and Anti-Smuggling of Migrants Act 2007. Anifah said this in Malaysia’s statement delivered at the ‘High-Level Leaders Event : A Call To Action To End Forced Labour, Modern Slavery and Human Trafficking’ forum in New York. He noted that in ensuring a cohesive and well-coordinated national response, the Malaysian high-level inter-ministerial Council for Anti-Trafficking in Persons and Anti-Smuggling of Migrants is being chaired by the Deputy Prime Minister of Malaysia since 2015. The foreign minister said, apart from that, Malaysia’s efforts were being guided by its National Action Plan on Anti-Trafficking in Persons (2016-2020), as the second instalment to their first plan for the 2011-2015 period. “The implementation of this National Action Plan is being governed by five guiding principles, namely government ownership, civil society participation, human rights-based treatment of victims, interdisciplinary coordination at the governmental level and with international organisations and NGOs, and systematic evaluation and sustainability,” he said. Anifah pointed out that Malaysia recognised the centrality of regional and international cooperation in combating these heinous crimes. “Malaysia has ratified the 2015 ASEAN Convention against Trafficking in Persons, Especially Women and Children (ACTIP) on Sept 7, 2017, thus Malaysia is an active member of the Bali Process on People Smuggling, Trafficking in Persons and Related Transnational Crime, which has instituted regional mechanisms and arrangements in addressing the scourge,” he said. 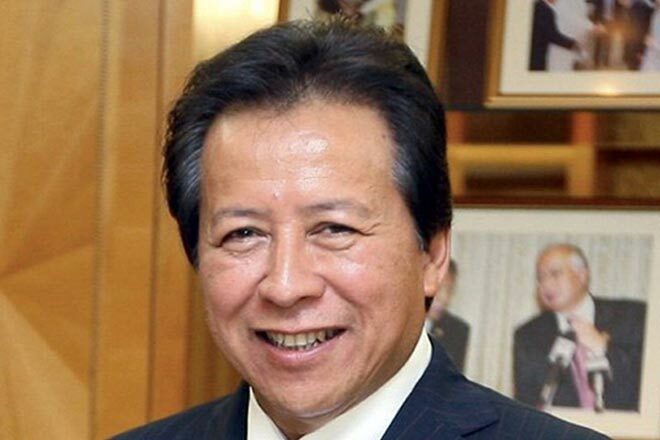 Touching on the challenges, Anifah stressed that it was obvious that the solution to the complex issue today required collective efforts, not only by states but also by other stakeholders, especially the civil society and private sector. “In this regard, my delegation is of the view that the measures outlined in the ‘Call to Action’ document that is before us today may serve as an excellent basis in steering the way forward, particularly towards achieving Target 8.7 under Agenda 2030.